In reply to last week's Spectator article outlining the opportunities and challenges for Hamilton's waterfront, here are some thoughts on developing Pier 8 within the context of the entire west harbour. The example from other cities is very important, yet the development of Pier 8 does not represent a full-scale development of the area from Bayfront to the Haida. Looking at an aerial image, you can see that Pier 8 is a small piece of the entire west harbour waterfront. Hamilton has done its waterfront properly by creating public space and beautiful parkland first. Now development can follow, and more vibrant, mixed-use development is exactly what we need. Buildings should be welcoming to the public with lots of patio space (Hamilton City Hall will have to get over its anti-patio policies one of these days) facing the water. Wide, safe walking routes are essential. I'd love to see the streets and waterfront trail around Pier 8 cobblestoned to add a sense of place, even though it's a 21st Century construction project. New condo projects should be modern, attractive and command quick sales. Let's not force developers to pretend it's 1960 with outdated styles, designs and amenities. Let this become a high-demand address in the city. Of all the cities I've visited, the waterfront that resonated most with me from a Hamilton perspective was the V&A Waterfront in Cape Town, South Africa. Their waterfront was filled with people all day and evening enjoying the multitude of outdoor patios with a birds-eye view of their working harbour. There was no effort to 'shield' the expensive stores or tourists from the industrial tug-boats, freighters or loaders working the harbour. Ditto for the mid-range restaurant patios and cheaper retail outlets. It was a perfect mix of retail and dining that literally had an option for every taste and budget. Gorgeous waterfront housing was plentiful. There was even a huge retail mall built right into the waterfront, designed in such a way as not to dominate the landscape or stick out among the waterfront buildings. 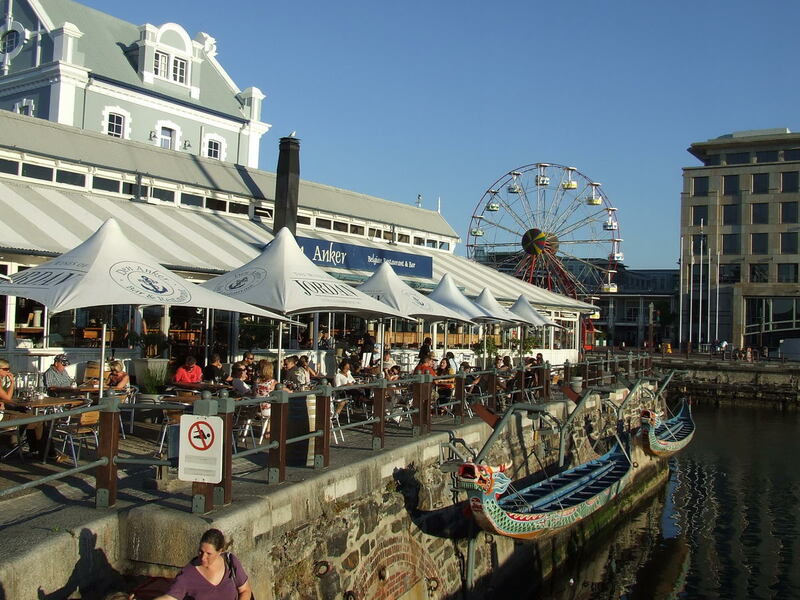 Take some time and browse the available condos, hotels, restaurants, cafes, shops, tourist activities such as boat tours, historic museums and live music at the V&A Waterfront. Hamilton's Pier 8 and eventually, Barton/Tiffany lands should be developed with the same vibrancy and density of activities for everyone. Our working harbour can also become the top destination in our city year-round if we can break out of the poor planning funk that has defined our city for the past few decades and develop something worthy of an Ambitious City. Disagree about installing private residences. I would like to see the water front kept public with sports and entertainment facilities. This would also recognize that much of it is polluted ground. Once you build stuff on the land it cannot be reclaimed. I do not believe that Cape Towners overlook an industrial center but a beautiful mountain. Does someone have the number of people and demographics of that area. It seems to be a world class tourist destination, surely that is not our vision for Piers 7 & 8? Sorry, should have clarified my comparison between a working harbour and our steel plants as both being called industrial. Clearly this is the trend, no? Wouldn't he be precisely the kind of person, that the writer of the article describes, living and hanging out at the waterfront/downtown area ? Isn't this EXACTLY what the city needs? Some of the Setting Sail mockups I've seen in the past address mixed-use development adjacent to the waterfront. 2. This is not municipal development as we know it in Hamilton. V&A Waterfront's development history goes back almost 15 years, and earlier this year announced plans for anither decade of development. (Take heart, Hamilton -- sometimes the long-game strategy has a reward.) It was previously owned by a private British/Arab real estate consortium who bought it in 2006 for the equivalent of $900 million CAD, and sold it last summer to South Africa's largest property investment holding company and the state-owned Public Investment Corporation for the equivalent of $1.2 billion. Earlier this year there were plans announced for the equivalent of another $500 million CAD in growth over the next decade on the undeveloped third of the lands. Being able to catalyze those partnerships is a powerful development tool, but that involves a stomach for risk. After all, this prime section of waterfront land was controlled by foreign interests for years. Good comment that moves the discussion forward. When I read point 1 I wonder what ordinary Cape Towners themselves get from it? Do we want a tourist destination down there or a local's destination? When I read point 2 it suggests that valuable public land should NEVER be turned over to private interests. My thoughts in bringing up the comparison are that we should aim for a smaller-scale version of V&A. We've already got amazing greenspace...now imagine that greenspace being flanked with fantastic residential/retail/patio space at Pier 8 and in the Barton/Tiffany area? I'm not too concerned with climate...Cape Town has quite brutal winters...not like you and I would consider brutal with tons of snow and ice, but they get a lot of rain, constant gale force winds and cool temps during the winter. The summer and fall is stunning there, and would make up the bulk of their sunshine hours. Seems it's sunny everyday during that half of the year. Risk is the biggest obstacle, as you mention. That, combined with Hamilton's horrid history of turning over great opportunities to developers with no other agenda than dollar signs makes this quite a risky proposal. But, eventually we're going to need some political leadership that can get something fantastic built like this without sacrificing the great public opportunity for some campaign donations or quick money. I don't doubt that a mixed-use waterfront development would be successful here. As I suggested, it's a concept that has already progressed a fair way through the HWT pipeline. What I wonder about is the six months of the year when the waterfront can muster single-digit temperatures at best. That won't impact residences or offices, but it could diminish the appeal of heading out to shop or dine. This may be a baseless concern, and I'll concede that I know nothing of Halloween-to-Victoria Day foot traffic in watefront promenades in Halifax or Boston. Private sector investors will obviously be more thorough when it comes to their homework. The attendance of walkers etc. does not decline much outside summer, but their shopping is coffee in Williams. I am not sure what dining and shopping you think can be established? More restaurants will just cannibalize the existing places in Hess and elsewhere. Is that what we want? Perhaps an indoor multi-sports facility would help draw people down there year round? The mosty notable development at Pier 8 -- the Waterfront Centre -- was made possible by the feds. Maybe we can entice them to invest more money into our waterfront. Other than their stake of the harbour remediation, I mean. Or maybe successful completion of that project circa 2022 will pave the way for greater private sector investment. Agree that haste makes waste. I fear that the feds will see the Discovery center as a classic failure (ala 407). Public money spent to build a great public asset and turned over to private interests to get money from the elite. Do you think east-enders will be eating in that new restaurant? I was more inclined toward finishing remediation and getting the Harbour delisted at last. The South African example above is basically underwritten by the state, but I wasn't really suggesting that the feds would invest similarly in Hamilton's waterfront, or even at all. They have no reason to. They barely had a reason to build the Discovery Centre in the first place. It was a $6 million Liberal pork barrel investment designed to showcase Parks Canada (and made possible by then-Heritage Minister Sheila Copps). The feds still own the facility, BTW. The Hamilton Waterfront Trust is leasing the facility management rights through 2051, and subletting to the restaurateurs. (Not sure what the rent is, but operational costs were running around $800K annually when the feds pulled the plug.) I wouldn't presume to dictate its appeal based on something as nebulous as diners' place of residence. Suspect that most Hamiltonians will be curious enough to take a peek at least once. Ergot said: I wouldn't presume to dictate its appeal based on something as nebulous as diners' place of residence. Suspect that most Hamiltonians will be curious enough to take a peek at least once. Forgive my political incorrectness. So of the 500,000 that live in Hamilton you think at least 250,000 will go there? Seriously, I would actually like to wait a year and get the actual results before we decide what else should happen, its a great test case I think. I've noticed as well that Confederation Park is only used by a handful of east-enders. Not surprising considering that it's basically sand, a hot dog stand, a public pool, a go-kart track and (seen-one-grain-you-get-the-basic-idea) sand. This must be sarcasm too. Right? Disagree with "sports" facilities - empty dead space most of the time and a waste of waterfront ... except maybe a water park. Residential is needed to populate the neighbourhood 24/7 for vibrancy and safety. However I'd like to see residential multi story bldngs back from the waterfront, not blocking the view down the bay or the public waterfront. 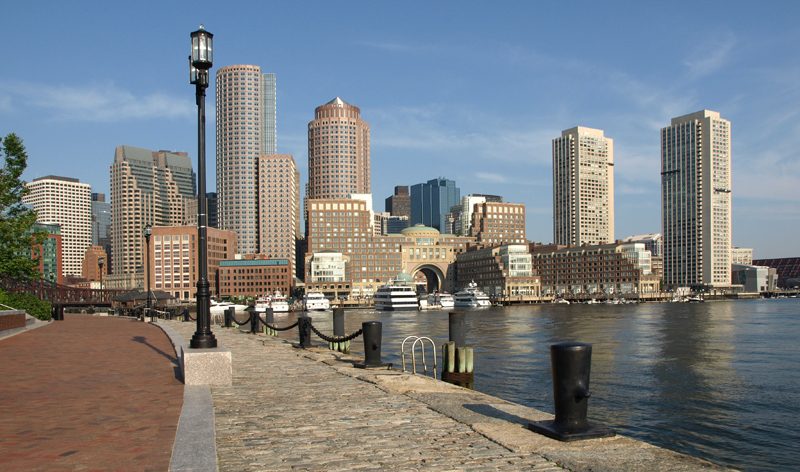 Cafes, restaurants and public parks and walkways should be on the waterfront itself. Go look at the Chicago waterfront, perhaps we have different ideas of the value of DEAD SPACE. We have a perfectly good water park already, please start thinking about the city holistically and this as one small piece of it. We don't want another Toronto on our hands. And inasmuch as I'd like to see Pier 8 developed, we need to keep the buildings to a reasonable scale: 4-6 stories perhaps. Agreed. As much as stadium projects are good jumpstart for rehabbing polluted industrial lands - I'm still a big believer that the West Harbour will, in the long run, be better off. Perhaps a more functional used community centre would more beneficial, while tying up less lands for active development that results in real growth. Dont wish to sound like an a** but please clearly define real growth and why it is good/needed on our best public waterfront space? The stadium debate is done. I was thinking participant facilities such as base ball diamonds & BMX courses that hopefully get people exercising. As another example I would guess that the harbour front paved trail already sees at least 2,000 people per week, year round. You can build all the parkland and public space you want. Unless people are actually LIVING downtown, this is a waste of money. The suburban mindset that predominates this city, it's council and the planning department has paralyzed downtown renewal for years. I would also not bother approaching the federal government for anything. We need LESS government involvement not more. What we need is a clearly defined set of goals, inluding in my mind residential high, medium and low rise development with commerical and recreational space. ZONE IT, MARKET IT, SELL IT, then get out of the way of the developers and let them do their thing. When did high profile space developers do anything than make money off the elite? It would have to be a joint venture at least to get some mixed housing into place. Pete. I'm sorry but this is some of the most valuable real estate in the city. A city that desperately needs tax revenue. The best way to generate that revenue is to do exactly what you despise. Let the developers build and then sell to people with money. Money is not a bad thing. The money that is generated by high end residences in the form of property tax will go a long way in this town. And by the way. Marina Towers is owned by the city, so your mixed housing is already there. Greg, Thanks so much for your brutally honest opinion that is surely needed in what should be an open process, not deals made behind closed doors with special interests. It goes to the heart of the discussion about how to handle development in Hamilton. Selling off the assets to keep living is never a good long term strategy. My other question is where do you think the tenants will come from? Out of town and actually add more taxes overall or just shuffle the existing money around a bit? Pete I don't think this is a one time sell off. You get the funds from sale of the land, then continuing residential and commercial taxes annually. The tenants will come from where ever. The market will determine that. From within Hamilton or migrants from somewhere else looking for a phenomenal lifestyle at a fraction of the price of Toronto or Vancouver. Who cares? If you talk to Harry Stinson he will tell you Hamiltonians built in scepticism to such projects would indicate that out of towners would be the market. Personally I don't care if they come from Oz. My preference for residential and commercial development on the waterfront stems from my belief that we have more than enough public space down there, that is in fact underutilized. I'm walk my dog at Bayfront and on the trail system almost everyday. There is never an overcrowding problem. My suspicion is that for people who live on the mountain there is no compelling reason to to use the waterfront. Making it a destination with restraunts, shopping, housing, an LRT link, would change that. People are drawn to water, why Hamilton would not want to develop its waterfront in this way is beyond me. good points... in fact, I believe so much in the potential of the waterfront now, I'd be willing to see our first phase of LRT construction have the B-line terminate at Ottawa St in order to build a line on James from King to Pier 8. Then we could do the rest of the B-line a few years later. Connecting the W Harbour with LRT would be incredible for the entire city, and for that neighbourhood. My fear in doing LRT incrementally is that it will just stall much as the TTC did. Well let's build two subway lines and then nothing for 40 years. I would much rather see both lines started at once, and continue building the system in the decades moving forward, like the New York Transit system does. Digging and building never stops, it's part of the budget process for the Transit system there. Building open ground facilities is very cheap and that's good for a city that has no money. Look what has been achieved some far, its a great place with parks etc. Now lets add some participant sports facilities and better bus service from the east end. Hopefully expansion of the Pier 8 vision will not equal ridiculous amounts of surface parking. Between cars and drydocked boats, existing waterfront properties could arguably be used much more efficiently (and benefit from improved visibility). Car parking is required for the non-walking/bus visitors that you want to get down there. Not sure that I understand about the visibility, it looks like many working harbours that I have visited. Surely you are not going to boot out the boating people?? Even though it's technically a more exclusive enclave, the V&A development appears to invite access. And it is comparatively compact. The marina on Hamilton Harbour, meanwhile, sprawls out across almost a kilometer of waterfront property. Leander and RHYC are obviously historic institutions, and active enjoyment of the Harbour should be encouraged but I can't help but look at all of those berths and all of those parking lots/open-air dry docks and wonder if we can't come up with a slightly more inclusive, slightly more efficient vision of the waterfront. As the land becomes more valuable it will become prohibitively expensive to use it inefficiently, whether you're parking a car or a boat. Surface lots will become more valuable as footprints for mixed-use (retail/commercial/office/residential) buildings. That's possibly why you see few boats docked at the V&A Waterfront marina. The space is valuable, so the market determines the price. If waterfront tenants are paying $1 million for a 2BR condo, you can bet that berths and parking spots will command a healthy sum as well. Why not turn it into a series of cul-de-sacs and snout houses? It could be called Pier 8 Estates. Yes. Doesn't translate well does it? Considering that Capetown is more populous than Toronto, the scale of those developments looks positively modest; the skyline doesn't really seem to tower. One upshot of that situation is that the V&A square footage becomes that much more valuable. I was not being negative but inclusive in my comment above, (sports and recreation for all) and concerned that the waterfront would be unavailable to the many lower income families downtown. As a despised surburban-ite I come down to the waterfront most weeks, its a destination for us. Recently I brought my grand-daughter for the fishing derby. Many poorer families were there for fun and prizes, it was great! My concern is that once it is privatised, built on and turned into residences for the elite the general (poorer) populace will be discouraged and unwanted. Who speaks for them? First.... that is a patrician and elitist statement that conjures thoughts of the well off white suburbanite dispensing his pity and charity on the less fortunate of us who actually live down here. Second there is already acres of public space that is open to everyone. First.... that is a patrician and elitist statement that conjures thoughts of the well off white suburbanite dispensing his pity and charity on the less fortunate of us who actually live down here. Well that's a classic response of a right winger. I know nothing about your circumstances Greg. But go ahead, distort the message and blame the messenger. But answer honestly; am I wrong to say that the water front should be shared by all? Yes or No? I never yet saw any poor kids from Jane and Finch at the Toronto Harbor front. My point is that we should put things there that benefit all and not rely on the "market" to dictate who can go on the "valuable real estate" as you suggest. Pete there is Toronto Community housing projects right on Queen's Quay on a street called Bishop Tutu way, it's not small, and its on some of the most expensive real estate in the country. As far as who can "go on " the waterfront.... we have an extensive park system that is open to everyone that is walking distance to some of the poorest neighborhoods in this city. So I really don't know what you're getting at. The situation that you seem to want....already exists. What I would like to see is an influx of wealth and higher end residential and commercial development to bring some balance and hopefully and finally remove the stigma that the north end has among the ignorant of this city of being a place you don't want to go to or live and work in. I don't think this is a concern in Hamilton's case. the 'general', 'poorer' populace exists in full force in the North End and through most neighbourhoods between Dundurn and Parkdale. This is an opportunity for us to add some mix to the housing stock at our waterfront. Your points are certainly valid in cities like Vancouver where the opposite is true - massive swaths of the waterfront are home to the rich and cheaper housing needs to be integrated in order to create a balance. In Hamilton we need to integrate some 'higher end' housing to help create a balance. I'm a big believer in balanced, mixed-income neighbourhoods. This waterfront area represents one of the only parts of the lower city that might be able to support some higher than average housing types. It would still only put a minor dent into the balancing act, but at least it's a tiny step in the right direction towards a greater downtown area that is welcoming to all income levels, not just the poor. As I re-read this comment I realize that we really are the complete opposite of places like Vancouver. Gentrification is a major issue there...here, we're trying to bring some balance from the opposite angle. Yes Jason I agree that mixed neighborhoods are best for society overall. As an example I think that already exists at the West Harbour; expensive houses overlooking the water and less expensive ones a few blocks back and social housing a few blocks back from that. Is that what you envision at the East end also? At Pier 8? Yes. We already have the subsidized housing and the less expensive housing. This could be a great opportunity to add in some more expensive housing to create a better mix. "I certainly want to look at the North End and see a child- and family-friendly community. And I want to maintain it as a livable community during the process of development. The design process has already happened. We don't need to re-invent a whole bunch of new visions, we need to look at what we have planned. We need to look at what is there and what has been supported by the City and the residents. This has been a dream of Hamilton for a long time. There are really good planning strategies that are already there." To me, these observations raise some very compelling questions. Amongst them, 'How should input be balanced regarding that of 'locals'?' 'How much of a say should local residents have in what unfolds in their own lives, right out their front doors? Further, I'd like to hear responses from Councillors to the thrust of Sheri's opinion...as well as contributors and commenters. I find it fascinating that we -apparently- have a dichotomy between the way those who live in/frequent the downtown see 'walkability' by way of reverting one-ways and those who drive through the area insisting that there's more to the story than just what a bunch of vocal-locals want, essentially wanting to impose their needs...versus those people who live in the vicinity of Pier 8, etc, who aren't exactly regarded as 'equal partners at the table' -not from my perspective, anyway- and those who insist this, that or the other, design-wise, who are, invariably, not 'locals'. But maybe that's not a dichotomy at all. Perhaps it's more a ironic parallel...? City staff say there's “interest” brewing about building a c_sino in Hamilton — but not even council is allowed to know who's behind it. Classic Hamilton; the special interests have us at their mercy, so much so that not even our elected reps know what is happening. The stadium process should never ever occur again like that; an open, honest, detailed debate should happen. Not back door deals. Harborcoat said: Leander and RHYC are obviously historic institutions, and active enjoyment of the Harbour should be encouraged but I can't help but look at all of those berths and all of those parking lots/open-air dry docks and wonder if we can't come up with a slightly more inclusive, slightly more efficient vision of the waterfront. Very true but vague; flesh out exactly what you think can be done. Moving on-land storage is practical but what do you now want to do with the land? Glancing at the photos and fly-through video, this would appear to have many of the elements I'm looking for on Pier 8. I'm not too sure what they are proposing for the smaller buildings behind the condo building, but they appear to be mixed use - perhaps some retail, office space, lofts etc.... One of their largest hurdles will be the lack of a view to anywhere from the patios in the centre of the complex. Unless that whole patio/promenade area is higher than I realize, and has sightlines over the 3-4 storey buildings fronting Tiffany and Stuart.
" A citizens' group is one step closer to seeing its plan for the West Harbour come to life. Hamilton's planning committee has agreed to include the group's plan in the West Harbor Urban Design study. The group, lead by Hamiltonian Bob Carr with Thier + Curran Architects, met with the committee on Tuesday. The plan incorporates mixed-use residential and commercial space, expanding on central and north neighbourhoods. It uses Caroline Street as a connecter between downtown and the waterfront. It includes the CN-owned Stuart Street rail yard." Just got back from Auckland and thought that their Viaduct development at their harbour was very special. Something we should be looking at as their harbour was simialr to ours. Ie industrial based. Also feel that we can be doing more with our lakefrontage at and near confederation park. High rise, upscale restaurants, entertainment, etc could flourish in this area. Something tells me based on how our politicians fumbled around on the stadium issue ... These are all pipe dreams. I would love to see better development at the lake side...but it ain't happening. There were public meetings last week regarding the Conf Park land and local residents demanded nothing higher than 2 or 3 stories and no hotels. Period. Of course, council went along with them instead of having a vision. Why does there need to be any development at Confederation? I really think Hamilton got it right on the Beach Strip too. Maintaining a neighbourhood, accepting development that does not change the character in a major way (townhouse infill vs. towers) and not razing buildings as Burlington did. In my opinion, Confederation is great as it is, and one of those places that we'd regret losing if too much change were to be allowed to happen. Hamilton Magazine's Weekly Poll has to do with the sort of development we'd like to see down at the waterfront. So far, 90% are in favour of a mix of residential and commercial. "A Hamilton city councillor wants to get the ball rolling on developing Pier 8. Councillor Chad Collins said council should start thinking about creating a solid vision for the area. Have to admit, I love Confederation Park as it is especially now that I live in Red Hill compared with East Mtn where I used to live and going to Confederation Park twice a week for walks on the waterfront. Hope it never gets developed but that being said, as it is doesn't give any economic draw to Hamilton. But that is a different story.